We are often asked the question “What is my Blue Sky?” The answer, as you might guess, is “it depends.” Blue sky is the intangible value of your dealership. It is the value of the business over and above the tangible asset value of your business. There are many factors that affect the intangible value of your dealership. Obvious factors include which franchises you have, your facilities, your location and market size, profitability, workforce, CSI and competition. Dealerships with more desirable franchises, image compliant facilities, high profitability, excellent workforce, good CSI and low competition will obviously demand higher blue sky. These and other factors are important because a prospective buyer will use them to determine an expected return on investment. This analysis is the same for every investment decision, whether you are buying a dealership or a donut shop. Buyers typically pay a price that provides them an acceptable rate of return based on the perceived risks they are taking. The following example and formula can assist you in determining the intangible value of your dealership from a buyer’s perspective. Purchasers will likely take a deep dive in to your past operations. This due diligence process will include interviews, questions and a review of your prior years financial information. This due diligence process will help the buyer forecast future sales and the expected net profit as a percentage of sales. It is important that any unusual or non-recurring items that have affected your profitability be disclosed to the buyer. These “Normalization Adjustments” can make a significant difference in the Blue Sky calculation. Also, if a facility upgrade is needed or will be required of the buyer in order to get factory approval, the buyer will factor that into the equation. Generally, the buyer would amortize the expected facility upgrade cost, net of factory reimbursements, over a 10-year period at their borrowing rate. The Expected Annual Pre-Tax Income would be reduced by the annual amortization. The expected return on investment is a very subjective element of the formula. As mentioned above, 25 percent is the historical average for dealerships. This equates to a 4X multiple to get to the total value. However, each franchise and dealership is different. Currently, Mercedes, Porsche, BMW and Lexus franchises are yielding much higher than average multiples. Non-metro stores generally have lower multiples than metro stores. Public dealership groups tend to pay higher multiples. 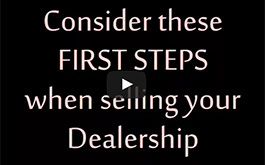 The variables specific to your dealership and the prospective buyer will affect your multiple. The final step in the calculation is to reduce the computed Gross Dealership Value by the working capital and fixed assets needed to adequately operate the dealership at the expected volume. The formula above is a good tool to help you determine a range of Blue Sky you might expect from a buyer. However, every transaction and buyer is different and the result of the formula may not be what you are offered. When looking to buy or sell a dealership, contact an experienced professional to discuss a valuation of your Blue Sky as well as other factors that may influence you Blue Sky number. 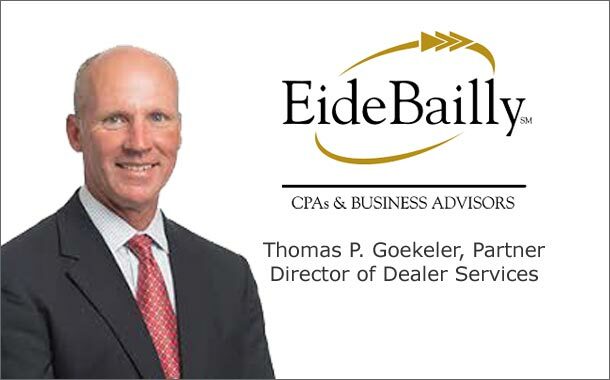 Eide Bailly a business advisory and accounting firm, helping our clients embrace the opportunities that change and innovation bring to the evolving business landscape and personal financial decisions. We offer our clients inspired ideas and solutions to tackle risk and spur growth.